When Jacob deGrom was drafted by the Mets out of Stetson University in the ninth round of the 2010 draft, he was a 22-year-old shortstop that sometimes flashed a plus fastball as the closer. Then he only pitched 26 innings in the Mets organization before he needed Tommy John surgery. When he arrived back in camp in 2012, he was a blank slate. So, when he walks to the mound in the deciding Game Five against the Dodgers today, after sporting the sixth-best ERA among qualified starters this year, he is the product of the Mets organization. The team’s development system helped add the curveball, and the slider, and the changeup, and he brought that plus fastball (with a slight tweak) and great command. A pitcher is only as good as the sum of his parts, and in this case, each part is as impressive as the whole. In the spirit of that development, let’s compare deGrom’s pitches to the models of yesterday’s game, and to the best of today’s game. While deGrom was rehabbing from Tommy John, a legend — known for his changeup — visited minor league camp. The prospect immediately started talking shop with Johan Santana, and came away with a new changeup grip and a better sense of pitching. The conversations had a big impact on the young pitcher, who set to work learning the all-important change. The student has surpassed the teacher in one aspect, at least. deGrom’s change drops almost three inches more than the one Santana was showing in the latter half of his career. And their horizontal movement was almost identical. It’s when it comes to velocity that Santana shines — his changeup was 11 mph slower than his fastball most years, while deGrom’s is 9.6 mph slower than his fastball. More gap is better, but it’s clear that deGrom’s change didn’t fall far from the tree. Today, the pitch is also a standout when compared to peer pitches in terms of results and movement. It has the seventh-best swinging strike rate among changeups thrown by starters at least 200 times, and the 16th-best ground-ball rate. It’s top 25 in both horizontal and vertical movement, too, which makes sense because changeup movement is the most important variable for whiffs. 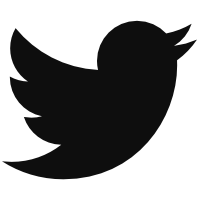 The changeup that it’s most like? In terms of quantity, movement, and velocity, it’s the changeup thrown by Erasmo Ramirez, with Stephen Strasburg a close second. Though Ramirez looks out of place here, the change is clearly his best pitch. Ron Romanick, the Mets minor league pitching co-ordinator, had an epiphany watching deGrom throw his slider one day in the minor league camp. “That’s a curveball, the way it comes out of his hand,” Romanick told Toby Hyde of Metsminorleagueball.com. So they decided to call the pitch a curve, and work on it like you do with curves. Frank Viola, also a pitching coach with the Mets, might have been known more for his circle change. But at least one batter remembers his curveball as one that “dropped out of the sky.” Viola set to work teaching deGrom the ins and outs of his own curve. Today’s curveball that most resembles deGrom’s is the one thrown by Carlos Carrasco. Not bad. Carlos Carrasco got whiffs on 26% of the curves he threw, or best in baseball among starters. The slider first became a curveball, but then it came back, and might have been the final piece of the puzzle. When he got to the major leagues, deGrom had the pleasure of working with major league pitching coach Dan Warthen, who espouses a hard slider that features a little bit less movement than most sliders. The best model for the Dan Warthen Slider? Matt Harvey, who said that he “didn’t really know how to throw a slider” before working with Warthen. Harvey’s slider was the 13th-fastest among big-league starters this year, and it had a whiff rate in the top third. Of course, deGrom’s slider was the second-fastest slider in the big leagues, so once again deGrom has passed his model. Harvey’s slider gets more whiffs, though, and drops more. A big league model for deGrom might be Lance Lynn’s slider, which is only a mile per hour slower while having almost identical movement and whiff numbers. And once you sum up all of the results on a pitch, and weight them correctly, deGrom’s worst pitch was still in the top-25 among its peers this year, just a few pegs down from the one Chris Sale throws. You can’t teach velocity, goes the adage. But deGrom did add velocity — he’s now top-ten in that stat at nearly 95 mph, despite sitting closer to 93 mph in the minors. Maybe he just put on some strength as he put more time in between himself and Tommy John surgery. Maybe he just filled out — he’s a lanky guy. Maybe he cleaned up his mechanics. Or, since he’s added more than a tick of gas from last year to this year, maybe he’s taking advantage of a trick he may have learned from Carter Capps. Capps is infamous for hopping off the mound to get the most out of his fastball, to the point that some have questioned the legality of the move. (Major League Baseball has told the pitcher he’s fine.) Now take a look at how far off the rubber deGrom is as he delivers the ball this year (right), compared to years before (left). Now we have to add in Carter Capps‘ fastball, it looks like. If you went into your Translyvanian lab and used your weird science to put together a pitcher with Carter Capps‘ fastball, Johan Santana‘s change, Carlos Carrasco‘s curveball, and Matt Harvey’s slider, you’d have quite the pitcher to unleash on baseball when you returned. 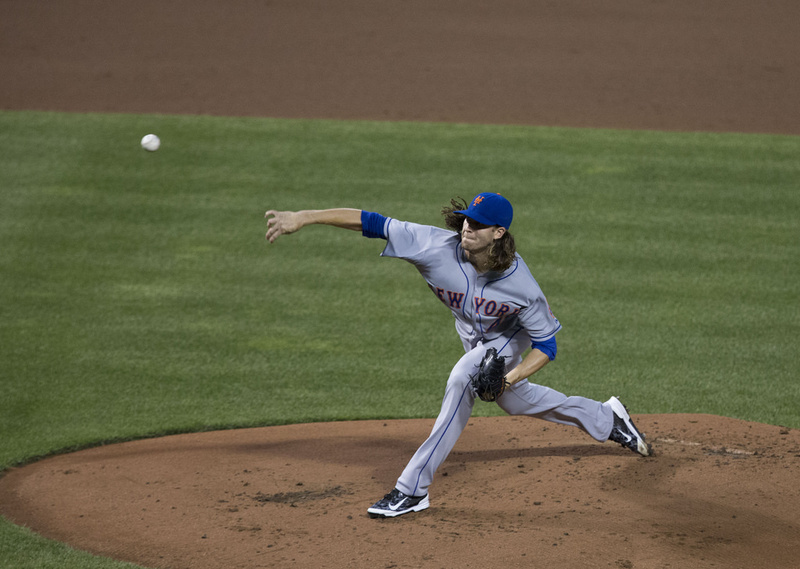 You might even have Jacob deGrom, the Mets’ sudden ace. 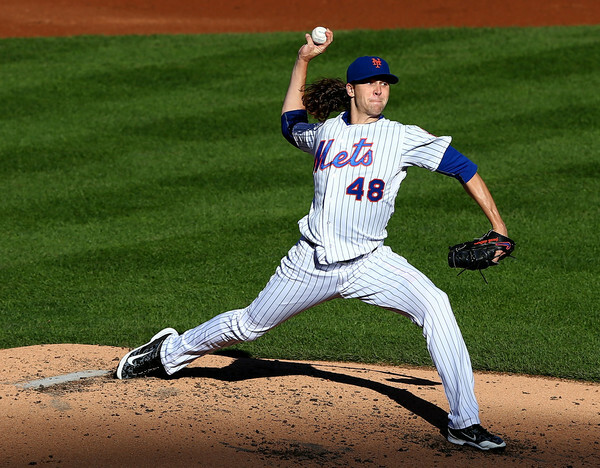 We hoped you liked reading Jacob deGrom, Frankenpitcher by Eno Sarris! “had a big impact on the young pitcher” is not linked to anything. The first mention of Johan Santana (the same few sentences) links to Johan Santa. Great read. Maybe playing SS/C in college is a greater indicator of future success then previously given credit?